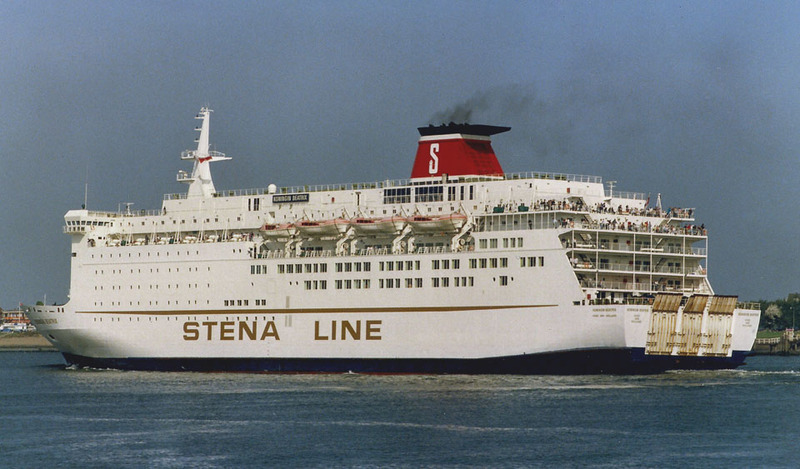 Capacity: 2,100 – 1,900 (1991) – 1,320 passengers, 550 cars or 80 trailers/275 cars. August 1st 1984: Building contract signed. 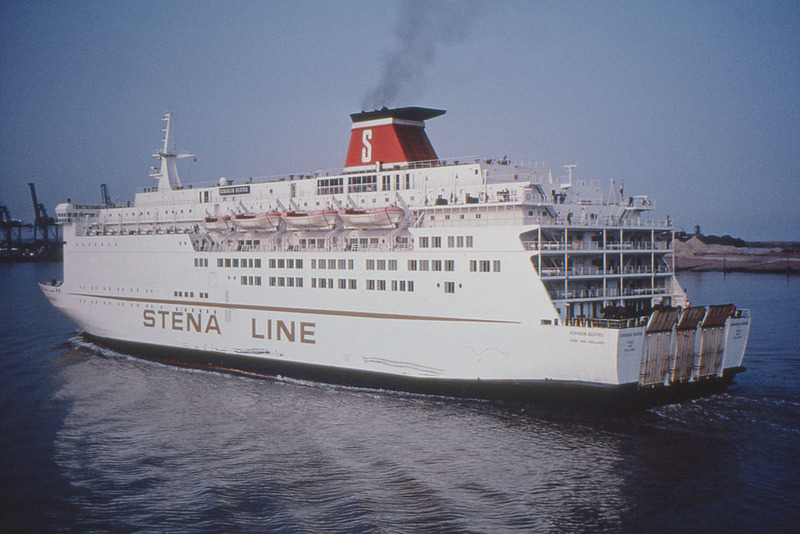 January 5th 1985: Keel struck. 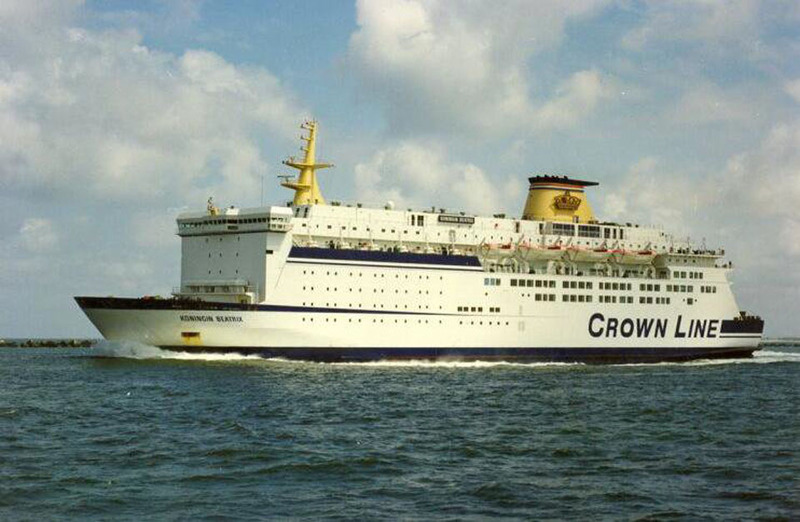 November 9th 1985: Launched by and named Koningin Beatrix by H.M. Queen Beatrix. 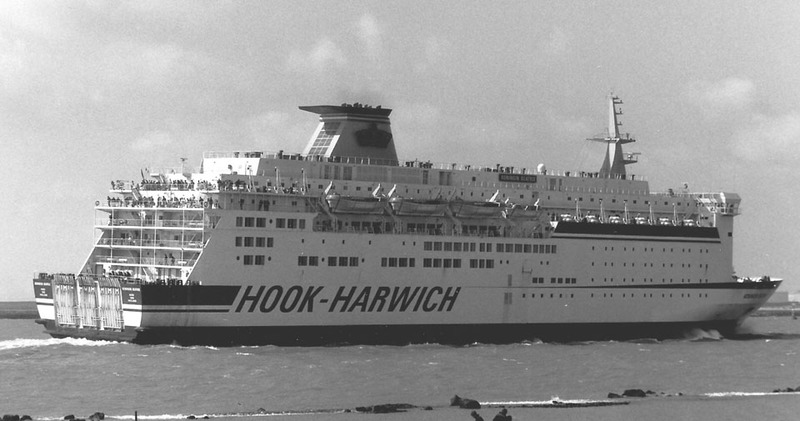 April 11th 1986 – April 15th 1986: Berthing trials before delivery. 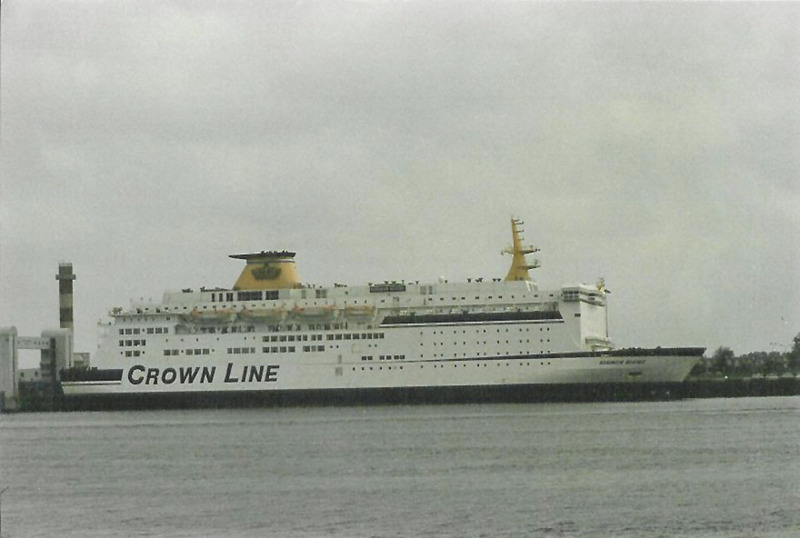 Originally she had a plain funnel and it was only after full trials, with Dutch royal approval, she had a “Crown added. 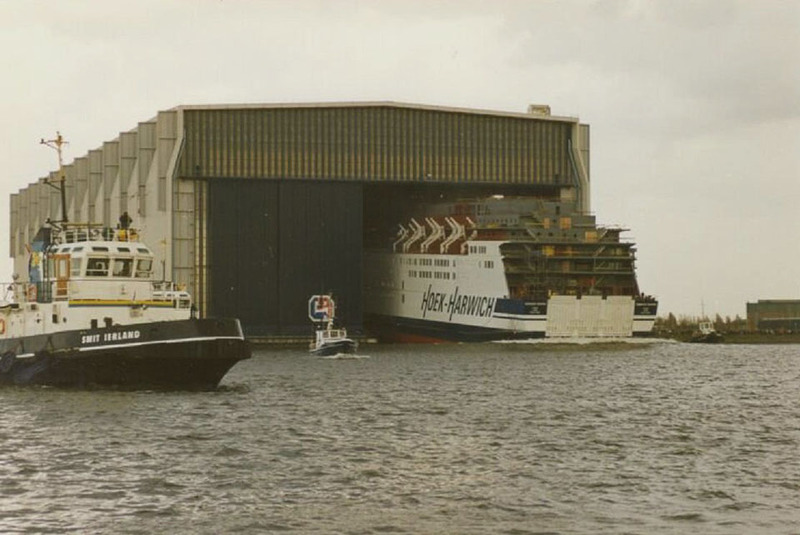 April 22nd 1986: Delivered to Stoomvaart Maatschappij Zeeland N.V (S.M.Z. 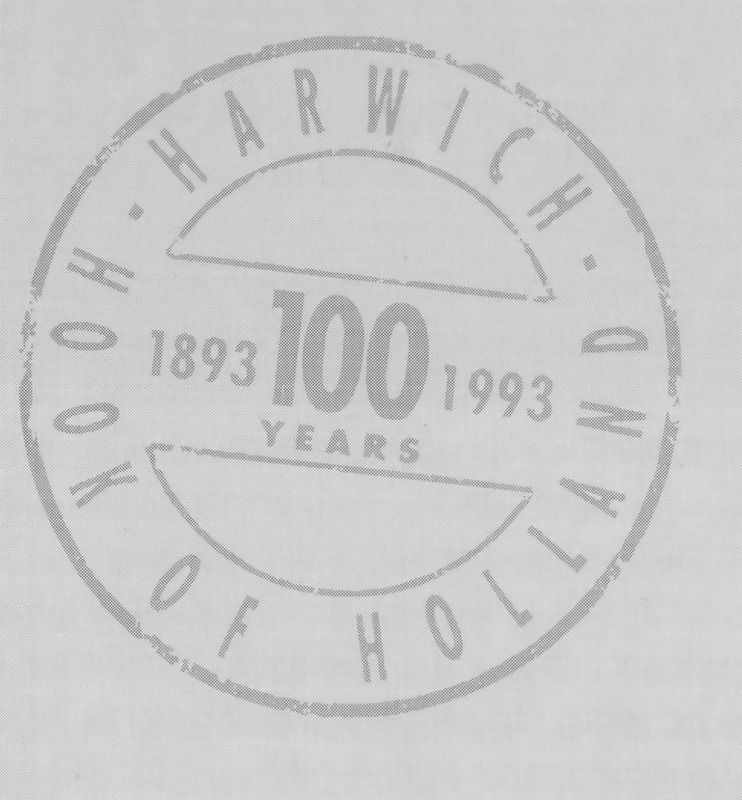 ), Hoek van Holland, Holland. 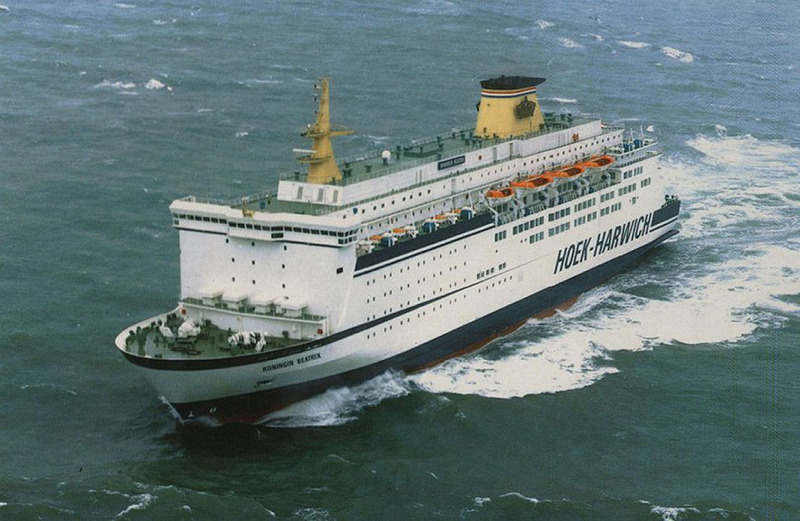 May 1st 1986: Maiden voyage between Hoek van Holland-Harwich. 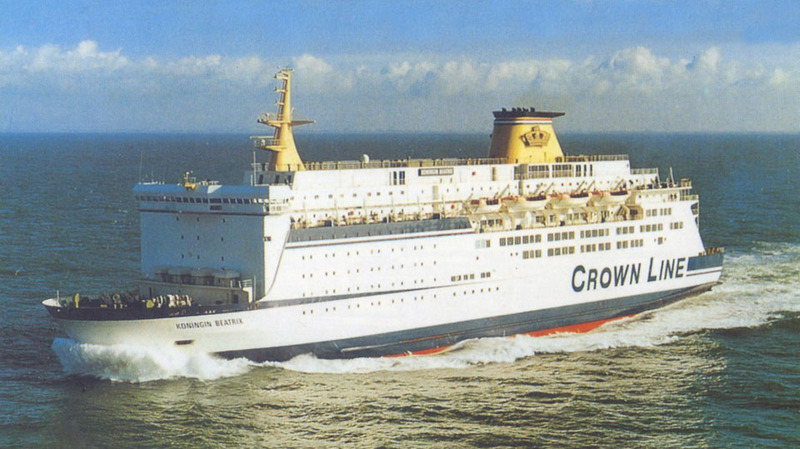 January 1989: Change marketing to “Crown Line”. 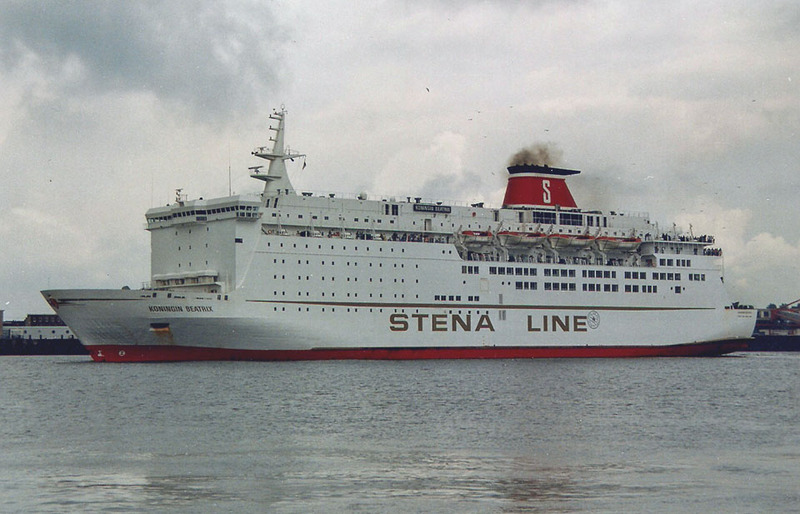 September 1st 1989: Sold to Stena Ab, Göteborg. 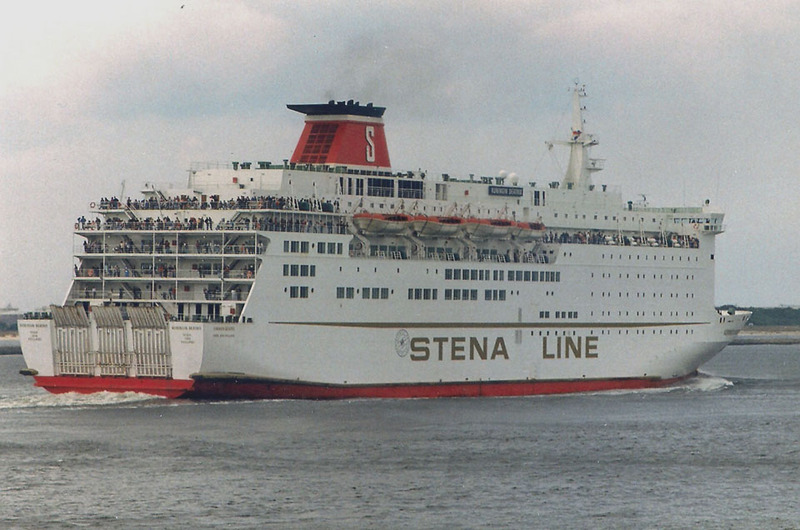 Registered to Stena Line B.V. Hoek Van Holland, Holland. 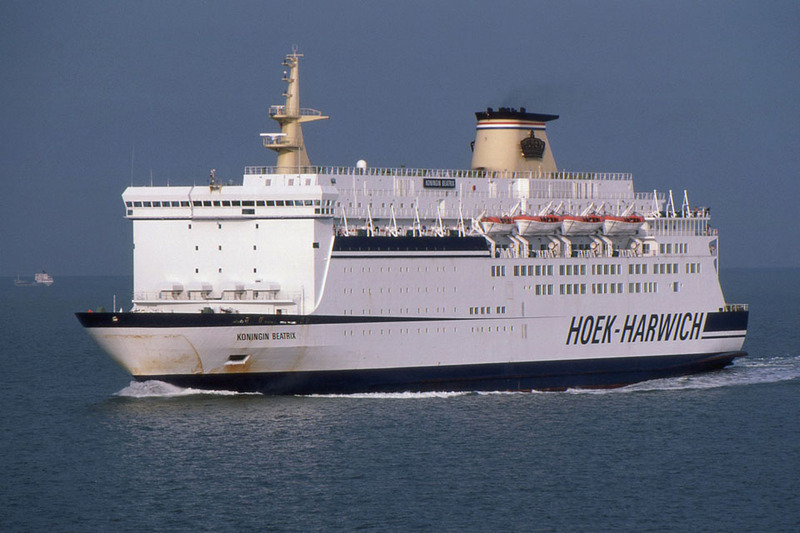 Continued in service between Hoek van Holland-Harwich. 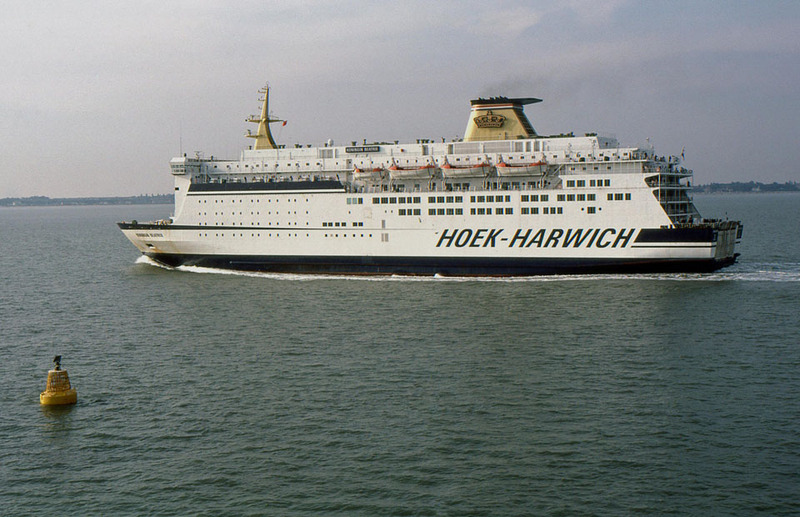 June 2nd 1997: Final day operating between Hoek van Holland-Harwich. 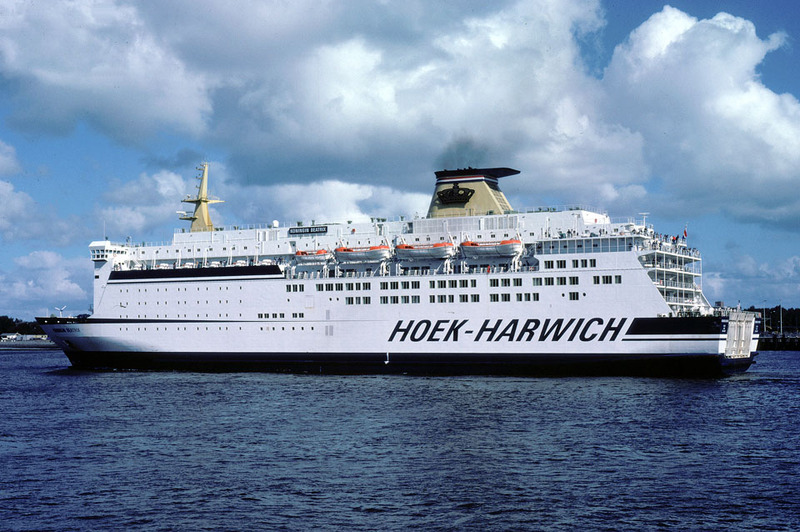 June 14th 1997 – June 18th 1997: Chartered as a hotel ship in Amsterdam for an EU conference. 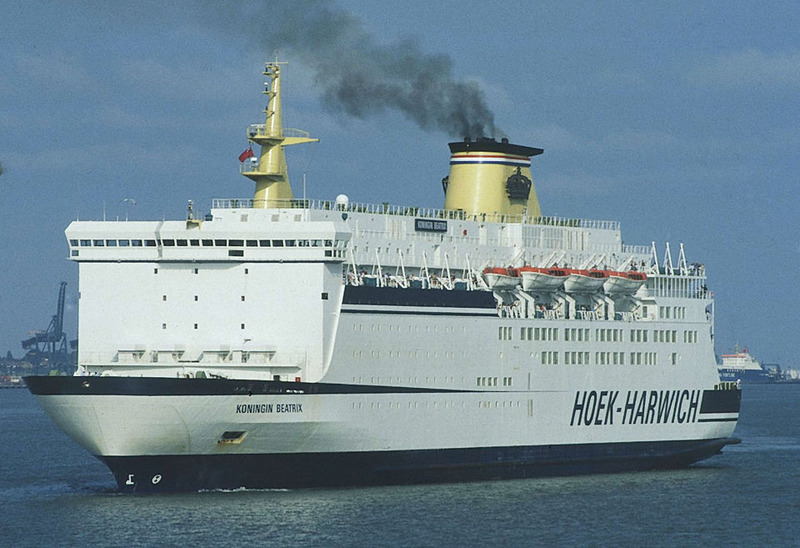 June 19th 1997: Registered in Netherlands, (Home port Hoek van Holland). 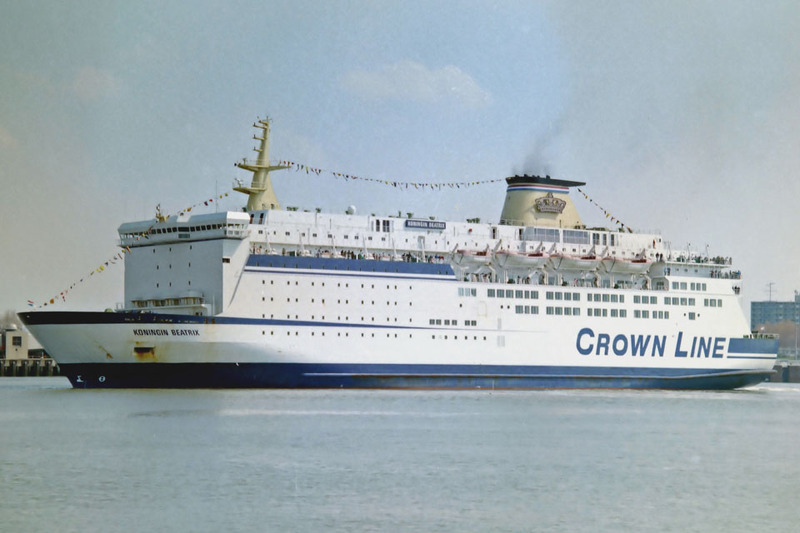 June 22nd 1997: First arrival in Fishguard. 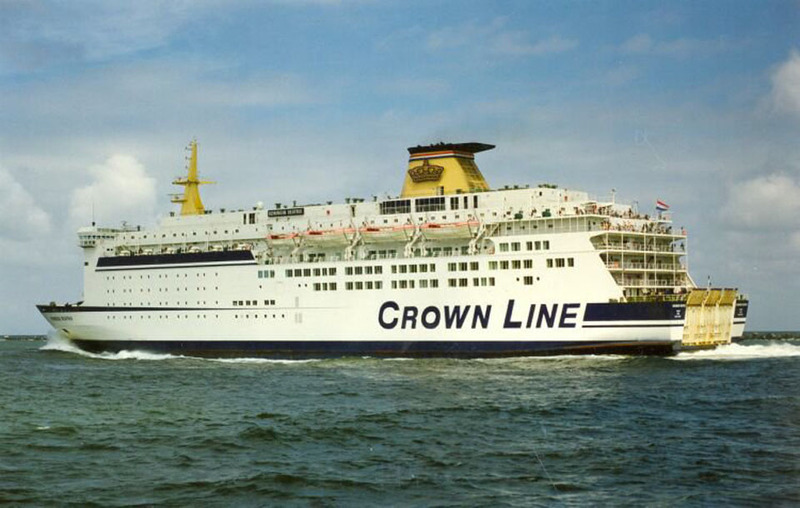 June 27th 1997: Not as planned, commenced service between Pembroke Dock – Rosslare. 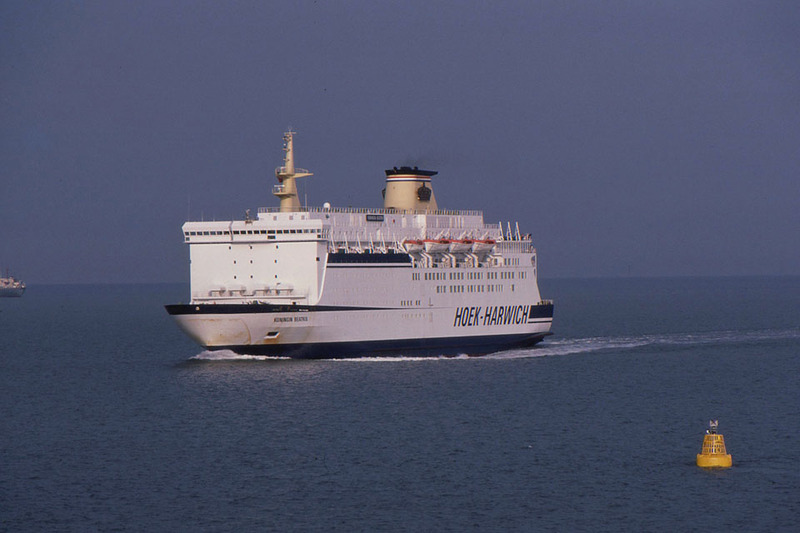 July 3rd 1997: Commenced service between Fishguard – Rosslare. 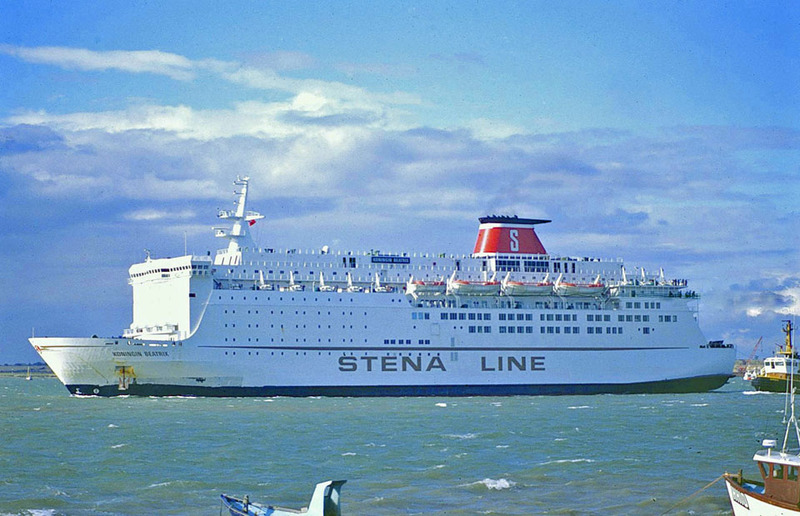 August 3rd 1997: In a heavy storm collided with a pier in Rosslare, passengers and freight unloaded in Dublin the day after. Repaired in Liverpool. 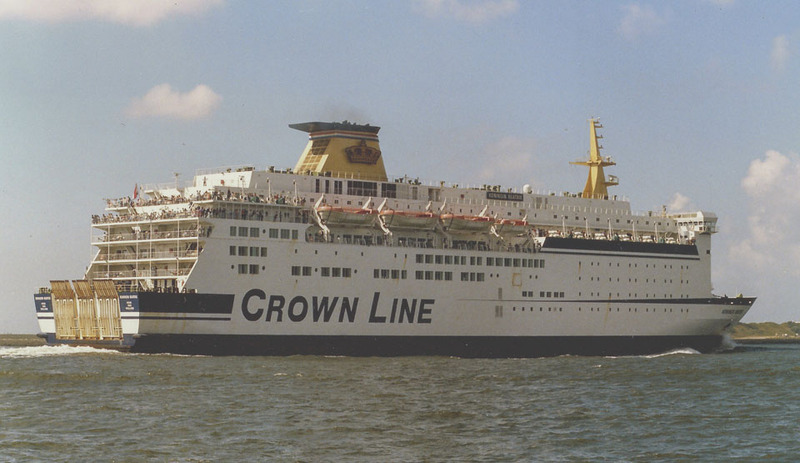 August 8th 1997: Returned to service. 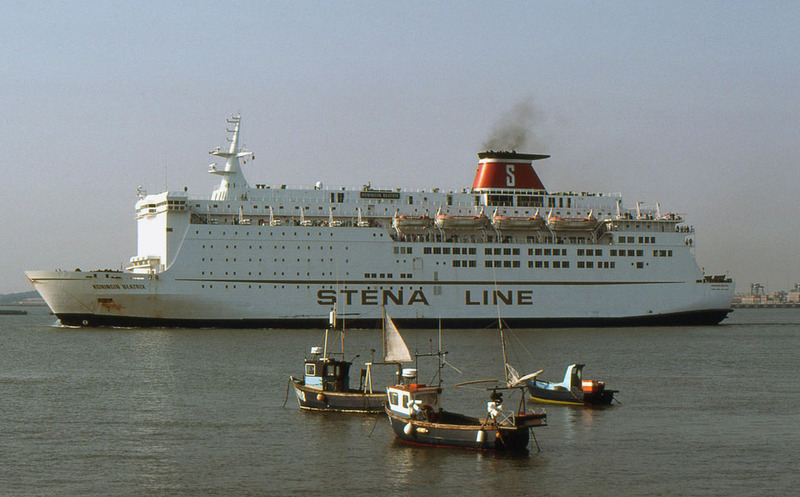 August 14th 1997: Registered in Great Britain with home port of London. 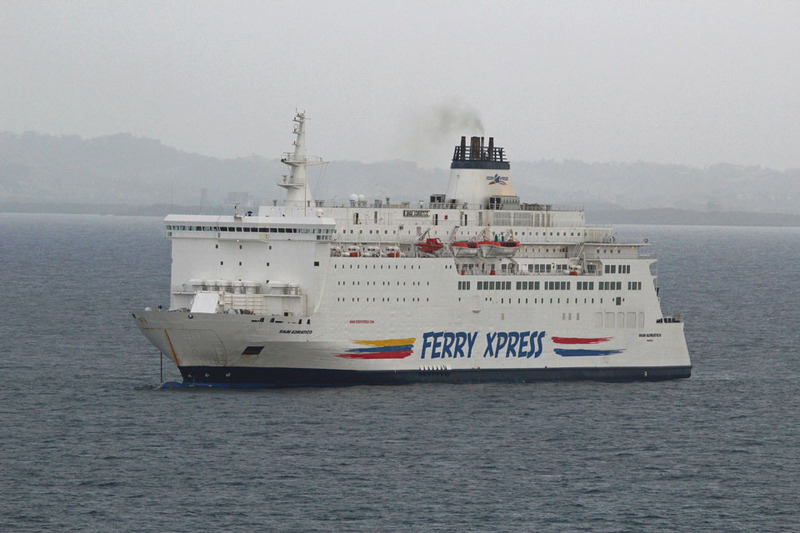 July 13th 1998: Chartered for a trip between Cork – Roscoff carrying contestants of the Tour De France. 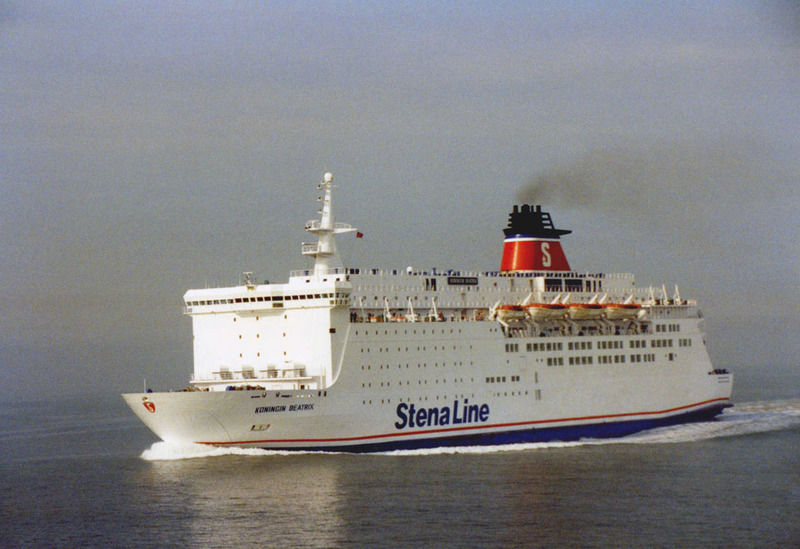 March 12th 2002: Final day operating between Fishguard – Rosslare. 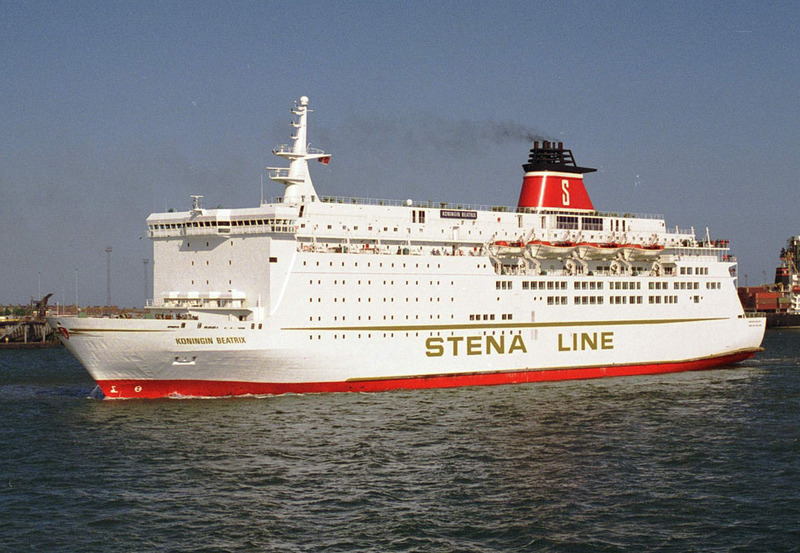 March 13th 2002: Renamed STENA BALTICA. 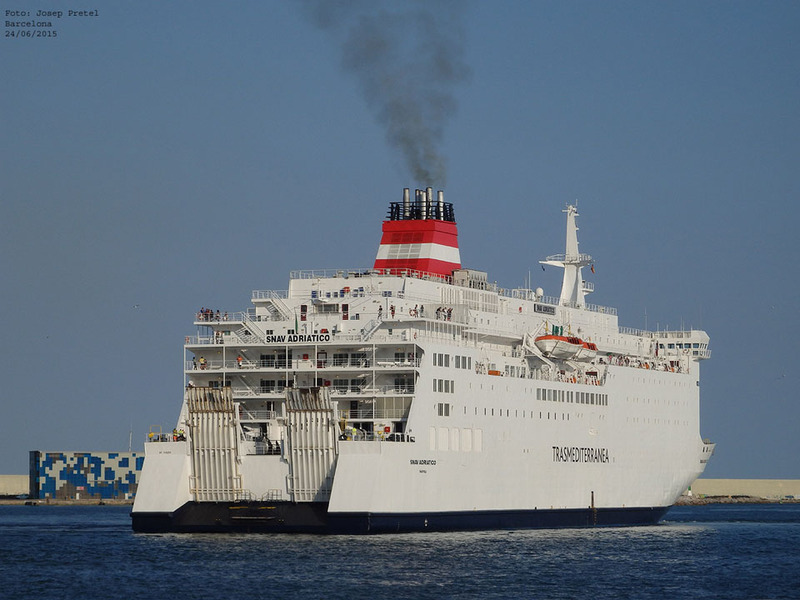 Transferred to the Bahama flag, home port Nassau. 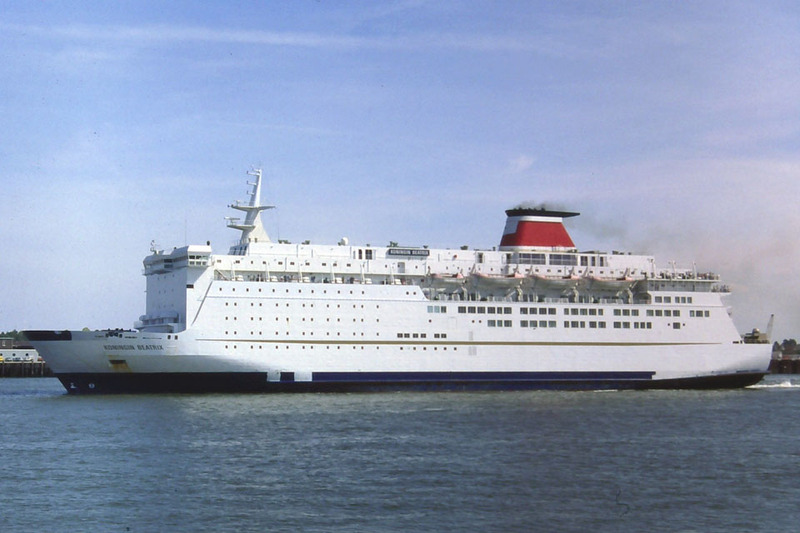 March 21st 2002: Commenced service between Karlskrona – Gdynia. February 24th 2003 – March 7th 2003: Overhaul. 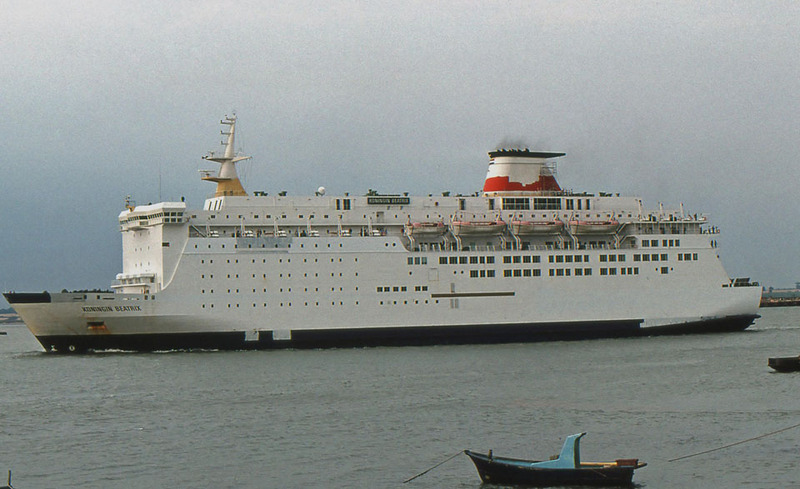 February 2005 – April 2005: Refit at Remontowa, Gdansk, Poland. 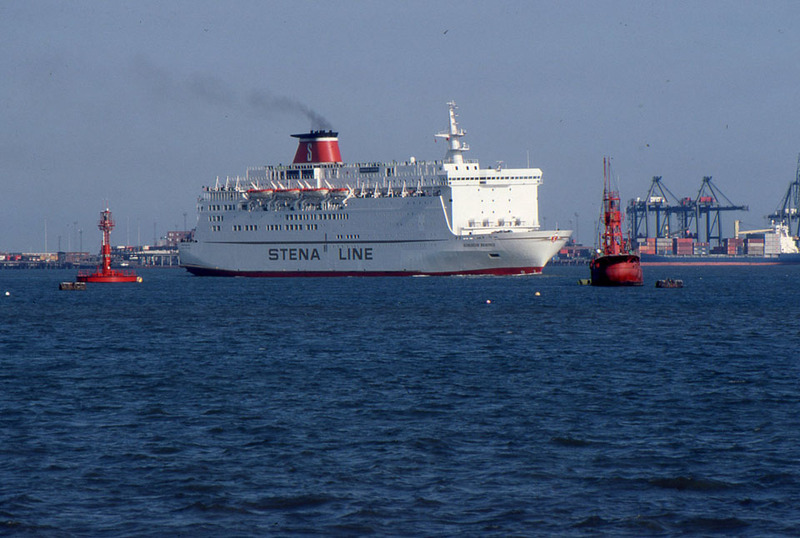 June 6th 2005: Introduced between Gdynia – Karlskrona. 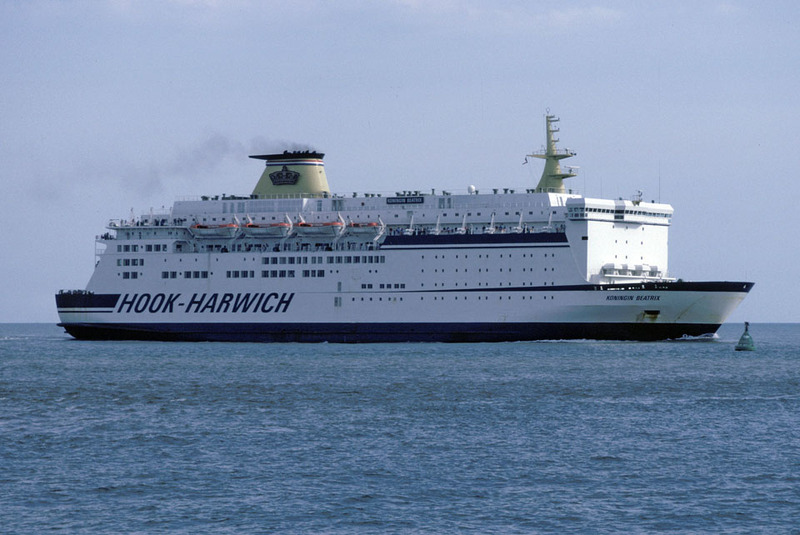 July 30th 2005: At the entrance to Gdynia, the ship collided with the breakwater. Suffered minor damage. July 31st 2005: Returned to service. 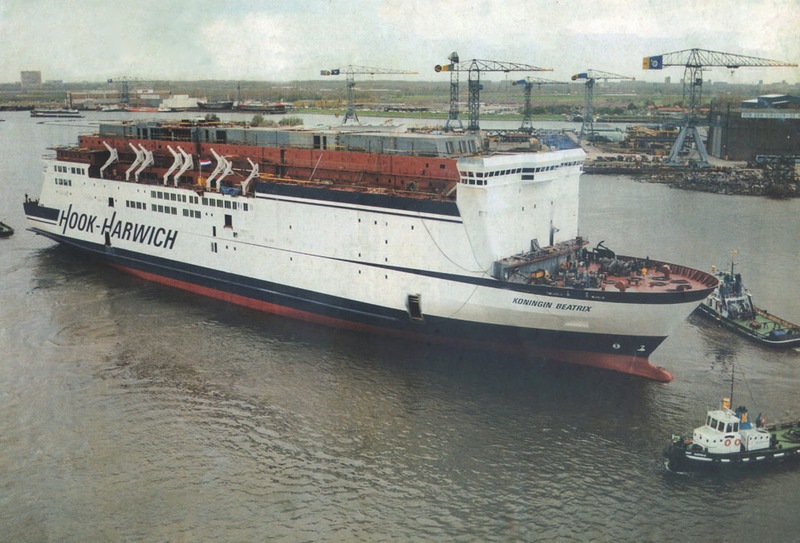 August 1st 2005: Taken out of service for completion of repairs. August 8th 2005: Returned to service. 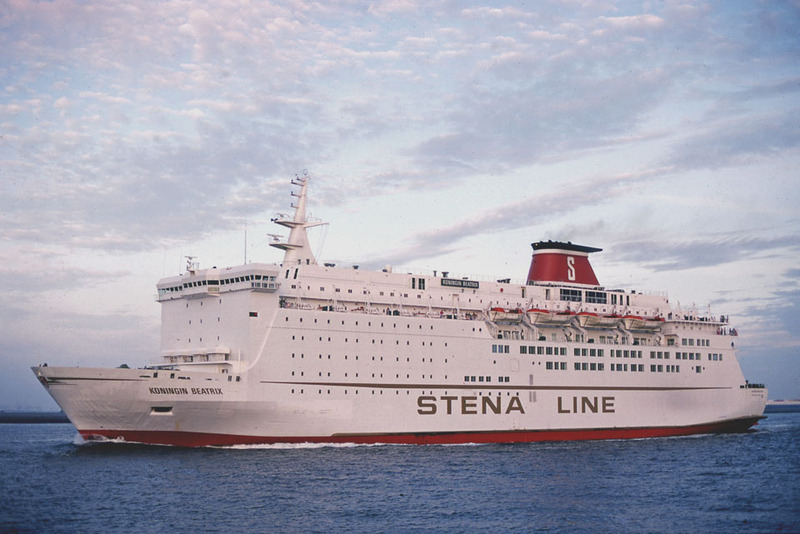 September 12th 2005 – September 28th 2005: Out of service for further repairs at Öresundsvarvet, Landskrona. 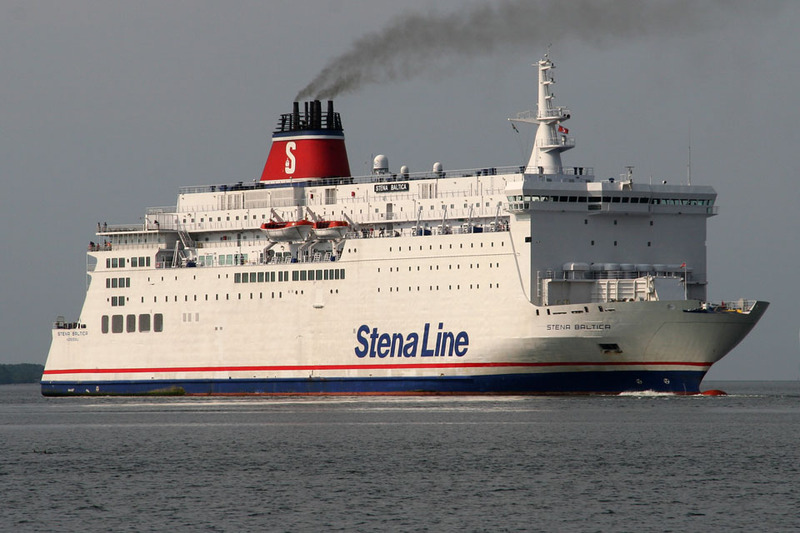 October 14th 2009: In rough weather, entered Karlskrona and collided with the passenger gangway. 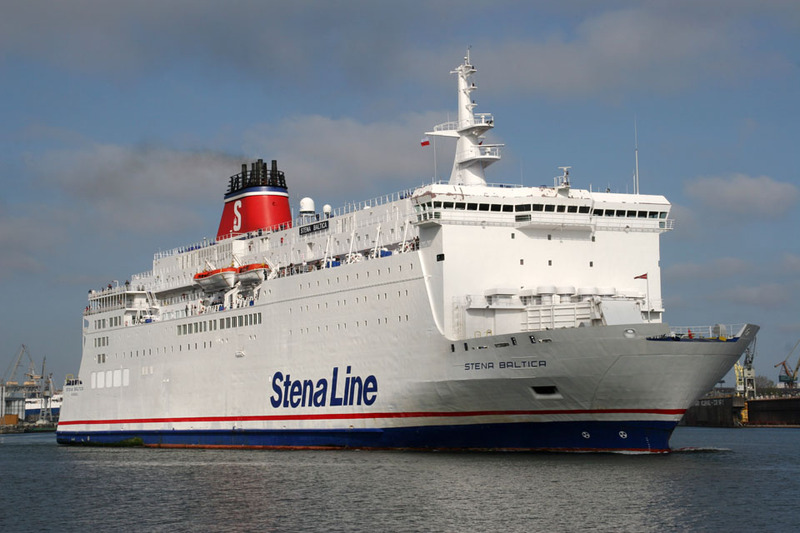 June 27th 2011: Final day in service between Karlskrona – Gdynia. 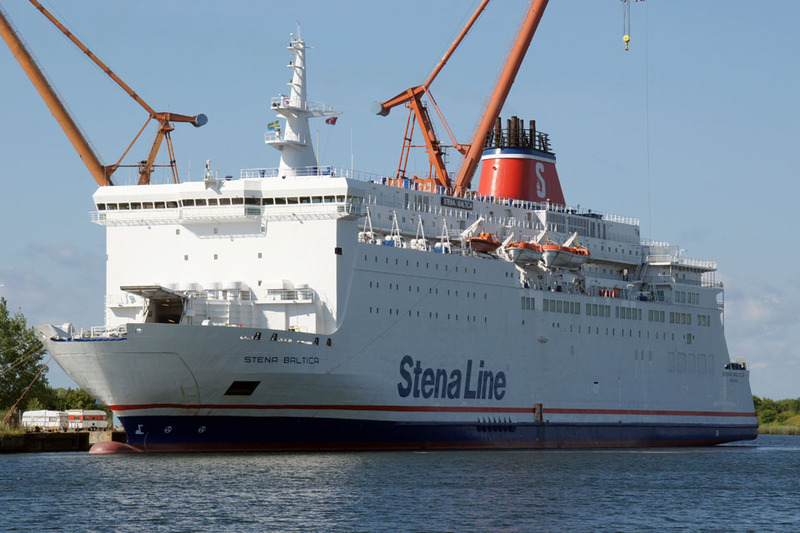 June 29th 2011: Arrived Landskrona for lay-up. 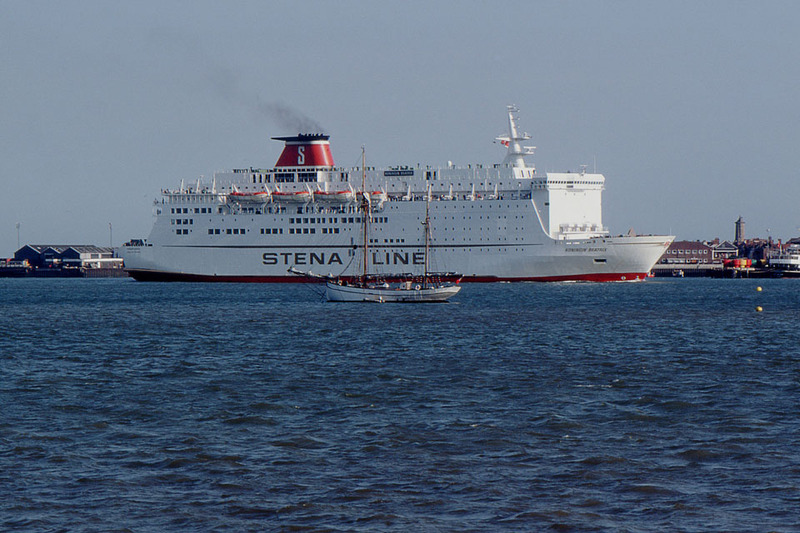 August 20th 2011: Left Landskrona for Lysekil. 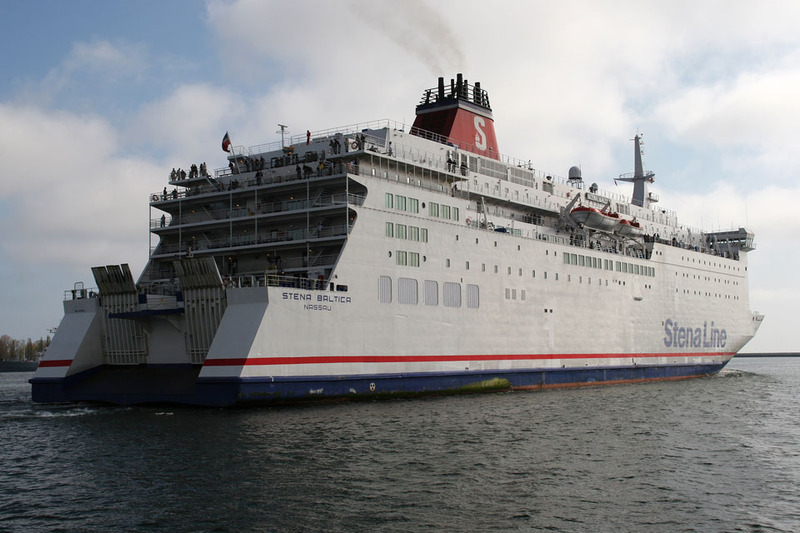 August 21st 2011: Arrived Lysekil for further lay-up. 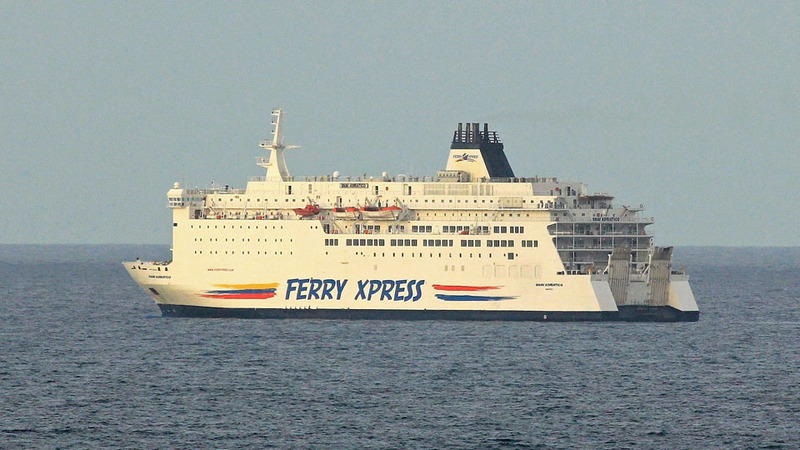 August 23rd 2012: Technical sea-trials. 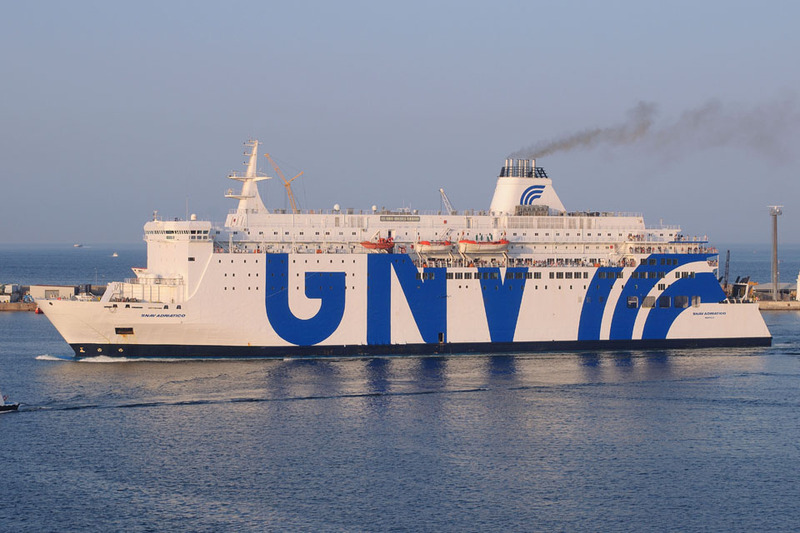 January 24 2013: Sold to SNAV Spa, Naples, Italy. 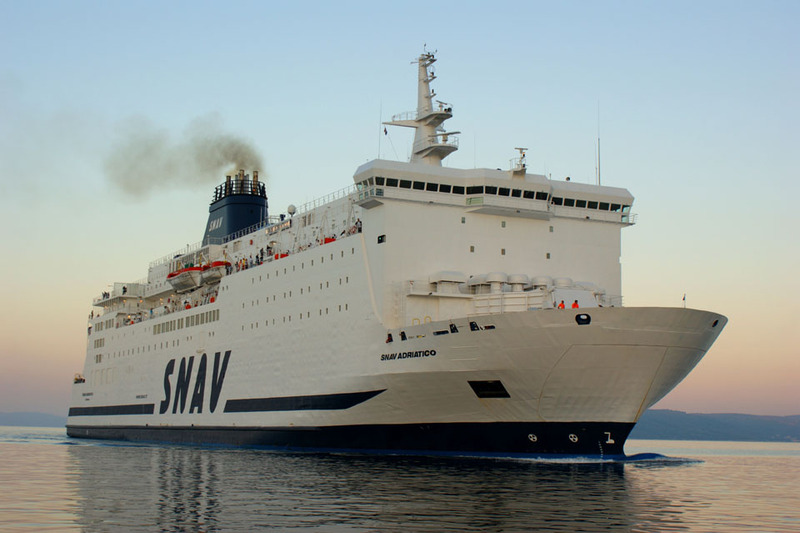 February 4th 2013: Renamed SNAV ADRIATICO. 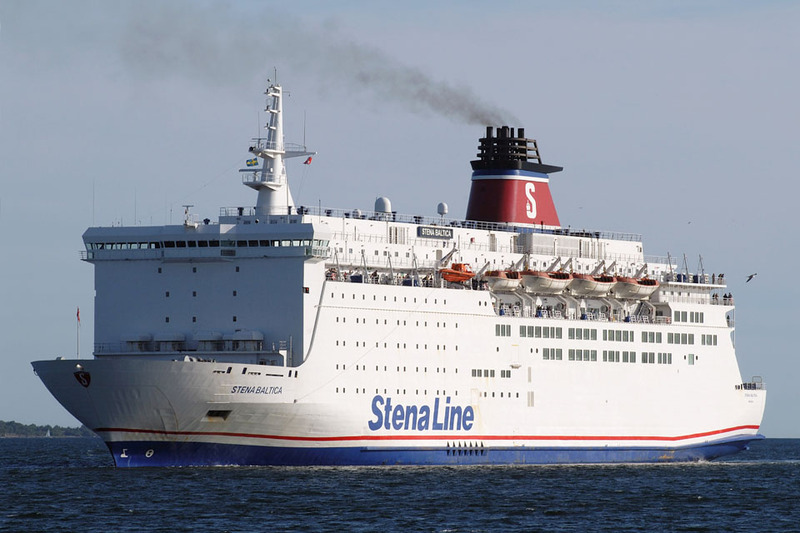 February 5th 2013: Left Lysekil for Italy. February 14th 2013: Arrived Naples. 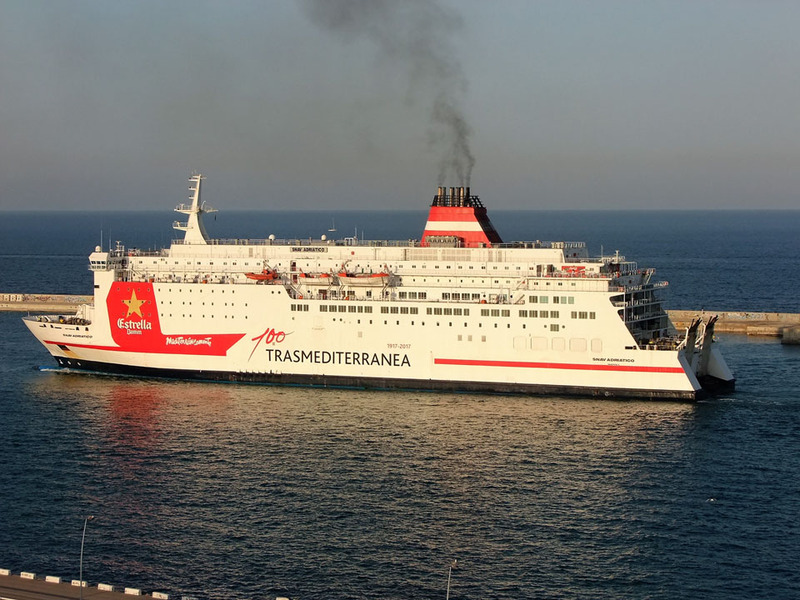 April 20th 2013 – April 22nd 2013: Naples to Ancona. 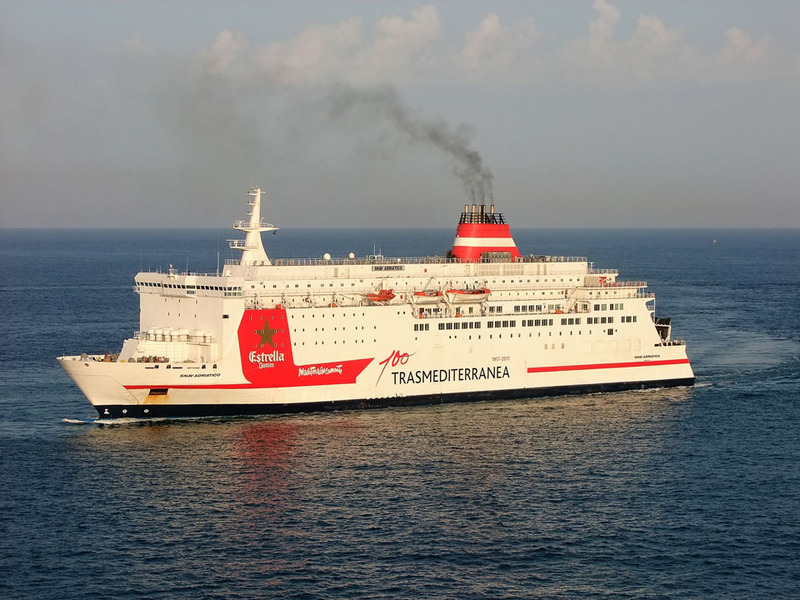 April 27th 2013: Services between Ancona – Split. 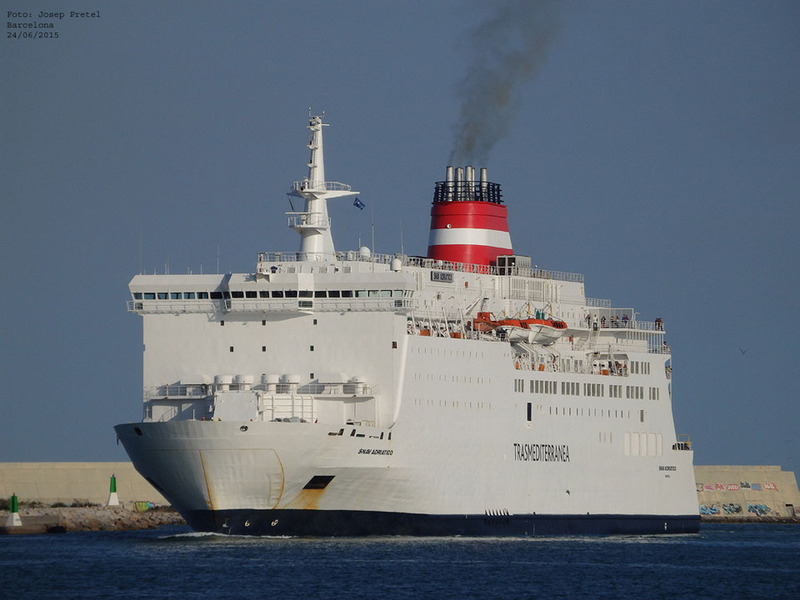 December 2013: Transferred to Italian flag, home port Naples. 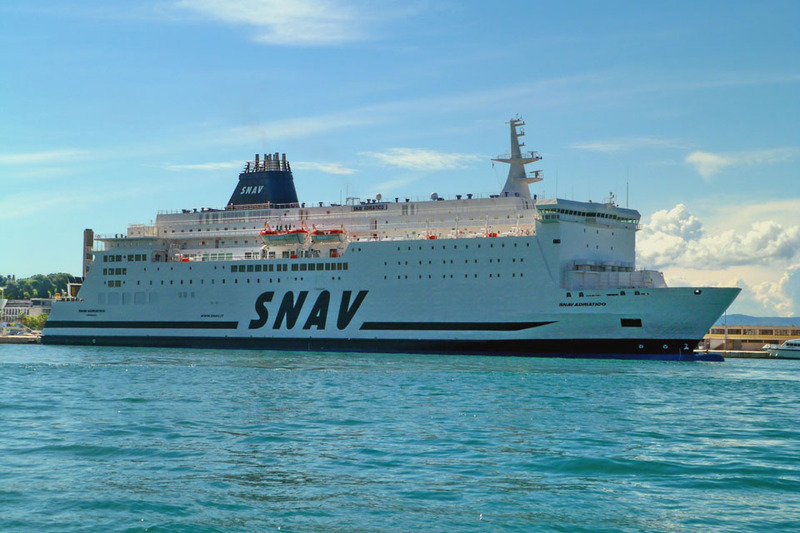 2014: Left SNAV service and was chartered to the Panamanian company, Ferry Xpress for services between Colon – Cartagena – Colon and Colon – Bocas del Toro – Colon. May 12th 2015: Arrived in Naples. May 21st 2015: Left for Barcelona. 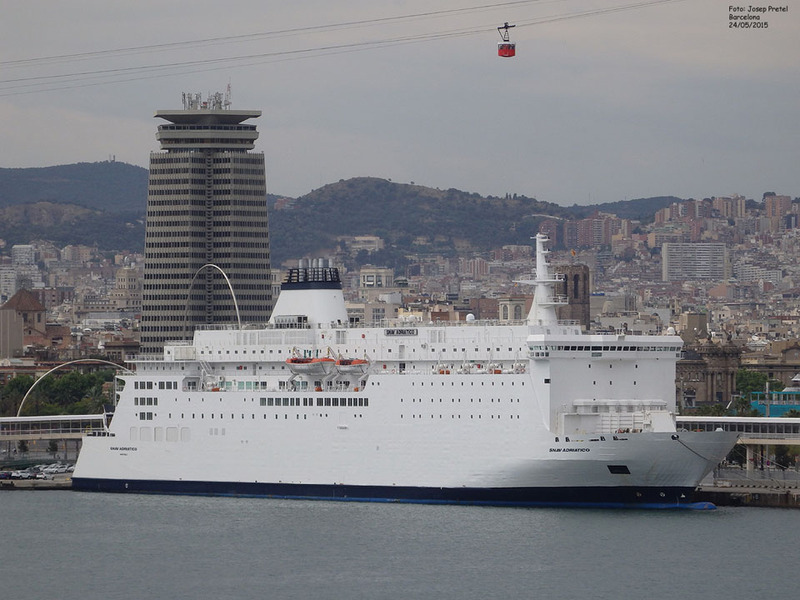 May 23rd 2015: Arrived in Barcelona prior at charter to Acciona and services between Barcelona – Mahon. May 2017: Registered to Grandi Navi Veloci SpA, Naples, Italy. 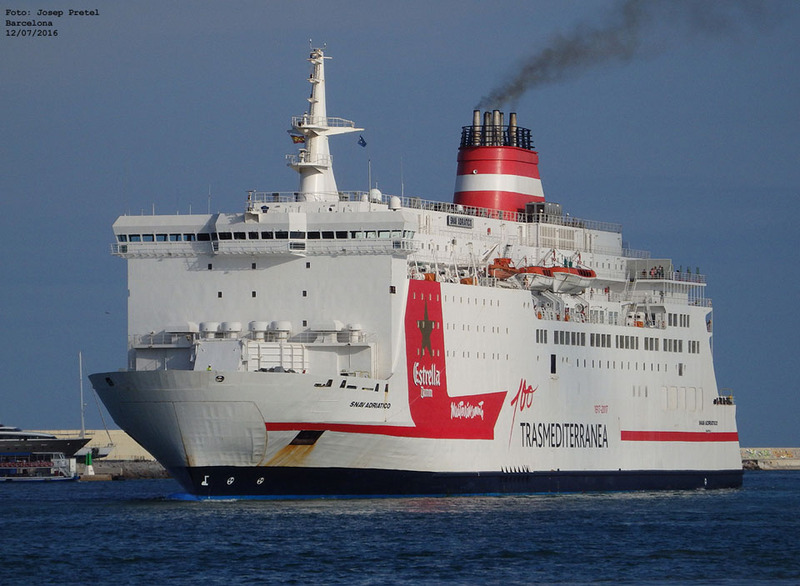 June 2017: Charter to Acciona Tansmediterranea completed. 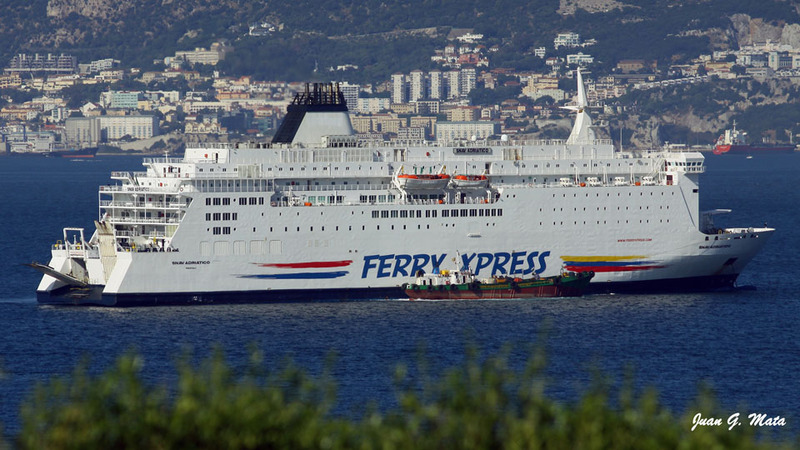 July 2017: Commenced service between Naples – Palermo. All information is believed to be correct and no responsibility is accepted for any errors or omissions. All items included in this article are subject to © copyright. We would like to take this opportunity of thanking: Pascal Bredel, Carsten Dettmer, Brian Fisher, Tony Garner, Ton Grootenboer, Frank Heine, Pieter Inpyn, Dirk Jankowsky, Ken Larwood, Juan G Mata, Capt Jan Melchers, Juanfra Monzón, Josep Pretel, Derek Sands, Simonwp, Robert J Smith, Frans Truyens, Wil Weijsters and Andreas Wörteler for their assistance in producing this feature. Thanks for the info. 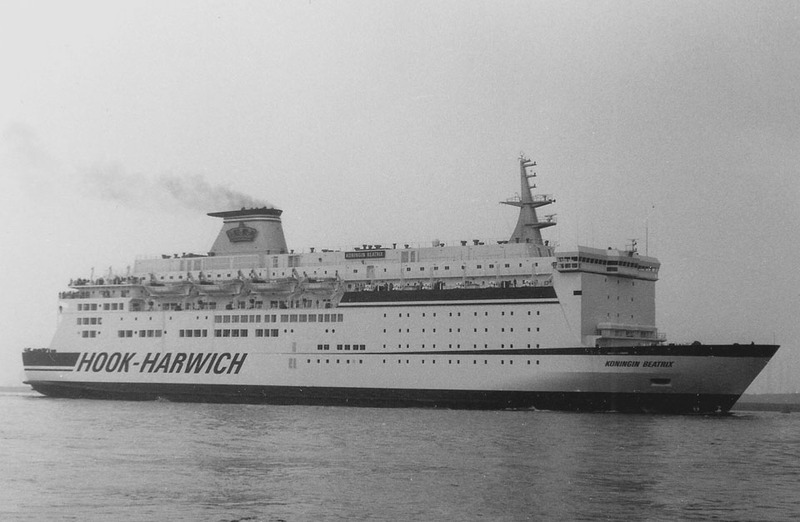 I took the Konngin Beatrix in April 1993 from Harwich to Hoek van Holland. 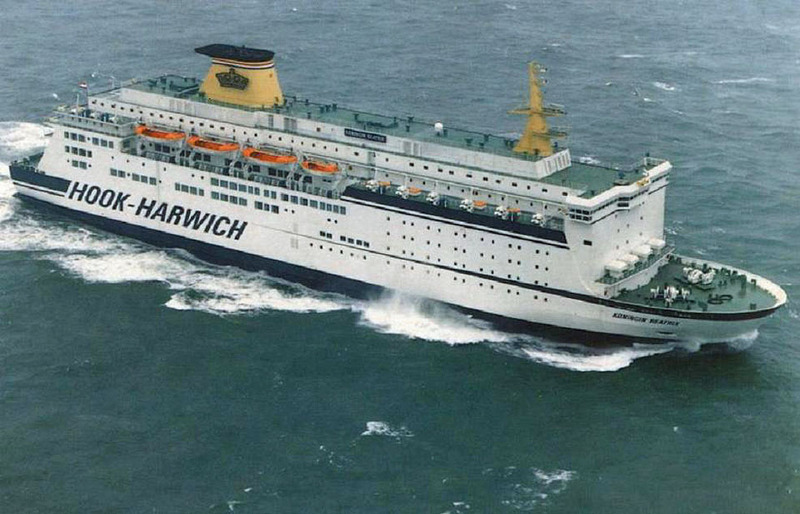 I can remember the dutch drinking songs coming from the next cabin!